“Organizational change” is the new boardroom buzzword. Retailers are using online sales platforms. Factory owners are bringing in robotics. Suppliers are employing new software-driven inventory techniques. Companies must either adopt the new technologies or succumb to the competition. Business executives are asking themselves how to make changes in the back office or production floor without alienating their staff. Many businesses seeking to adapt get off to an unsteady start because they initiate a change-by-decree strategy. There is a right and wrong way to reset a company’s culture, and authoritarian decrees such as, “Do it because I said so,” are rarely effective. When leaders announce plans for new initiatives with little or no prior groundwork the effort fail before it begins. The best way to proceed is from the top down, with company leaders showing themselves as prime exemplars of a new approach. From the start, senior leaders should embody the organization’s new approach, showing employees that real change is underway because it’s already happening at the top. An appropriate way to motivate change in employees is to provide them with authentic communication about how the organization is proceeding and how it will benefit them. “In the absence of clear, factual communication, people tend to create their own information about the change, and rumors become facts,” the Blanchards say. Decision makers who simultaneously embody and demonstrate the benefits of change within the organization are less likely to face opposition and create a readiness for change before it is implemented. Executives should plan their change initiatives like generals who prepare for a battle. Anticipate the obvious contingencies ─ the many questions about operations that staff members will have, for example ─ and be prepared to coach people through the process. But don’t confuse endless PowerPoint presentations with actual communication, as one expert puts it. While meetings and processes can be helpful, they can’t replace meaningful face-to-face communication. And don’t expect it to be easy. “Change is uncomfortable, and adapting to change is messy,” Fenson notes. If you’re considering transitioning from a career in nursing to health informatics, here’s what you need to know. Nurses make great candidates for transitioning into a career in health informatics. Why? 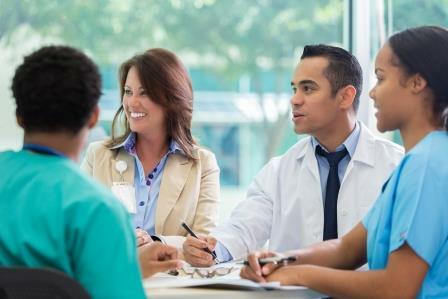 They are already familiar with the delivery of the care side of the field and have experience with both the clinical process and patient management process. However, it can be a challenge to get up-to-speed on the technological aspects of the industry, which is why it’s so important to get the proper training. 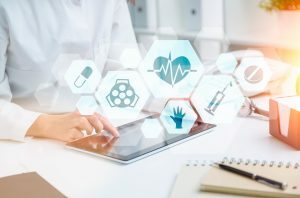 Health informatics requires more technical expertise than you might expect, far beyond what you may be used to for the practice of nursing in a hospital setting. Look for a master’s in health informatics program that provides more support for learning the technical aspect of the field. Experience with healthcare business and operations, the ability to bring people and processes together, and an understanding of how the end user will use the information you provide may also contribute to your success as a health informatics innovator. 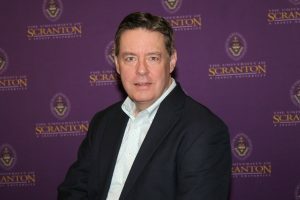 The University of Scranton’s online Master of Science in Health Informatics (MSHI) curriculum is designed to prepare you for a successful career. In addition to providing an integrative approach to patient care, the program provides you with a comprehensive understanding in health care systems, business intelligence, database applications, and information technology so you may excel in the health informatics field. To learn more about Health Informatics education at The University of Scranton, click here. “Health information 101.” AHIMA.org. http://www.ahima.org/careers/healthinfo?tabid=what(accessed February 4, 2017). “Occupational outlook handbook: Medical and health services managers.” BLS.gov. https://www.bls.gov/ooh/management/medical-and-health-services-managers.htm(accessed February 4, 2017). Rouse, M. ”Definition: Health informatics.” SearchHealthIT.TechTarget.com. http://searchhealthit.techtarget.com/definition/health-informatics(accessed April 5, 2017).